This Uganda Tour begins and ends in Kampala. The tour takes you to Murchison Falls National Park, which is the biggest protected area of Uganda (with up to 3.840 Kms). Named after the falls on the river Victoria Nile, the most impressive in East Africa, Murchison Falls is Uganda’s favorite national park for sight seeing. Ngamba Chimpanzee Sanctuary, Jinja (Source of the Nile and Bujagali Falls), The tour also takes you to Semilki National Park, Kibale Forest National Park, Queen Elizabeth National Park, Bwindi Impenetrable Forest, Lake Mburo National Park, and Kampala City and Uganda Wildlife Education Center. When you arrive, you will be met and welcomed by our Safari guide and then later transferred to Ngamba Chimpanzee Sanctuary. You will leave the mainland at 12:45hours and carry out the afternoon chimpanzee feeding at 14:30hours. After breakfast in the morning, Morning chimpanzee feeding at 11:00 hours will be carried out and later return to the mainland at 13:00hours.You will have lunch enroute while being transferred to the Jinja highway toward Jinja. When you arrive at arrive at Mabira Forest, you will like this magnificent forest with its trees, small mammals, birds, butterflies fauna and flora. You will be led along by a ranger who is well versed in Mabira, birds, butterflies, plants and wildlife. 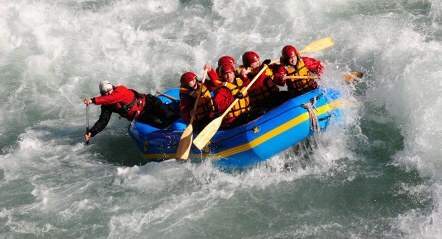 After morning breakfast, you will go to the Bujagali Falls for white water rafting. You will spend the morning bouncing over, through and under the water during this activity. You will stop to have lunch at Sunset Hotel and then visit the Source of the Nile and see where John Speke discovered what is known today as the Source of the Nile. You can take a boat ride on the Nile and go right to where Lake Victoria and the Nile meet. You will have and lots of opportunities to take pictures from flowers to the Nile and its fishermen. Leaving for Murchison Falls National Park will be at 06:00hours in the morning .When driving, the Panorama is interesting. You will have lunch at Murchison Falls National Park at either Paraa Safari Lodge or Red Chilli Tented Camp. You will take a late afternoon game drive and most likely be astonished by the variety of wildlife that you will encounter along the 2 1/2 hour drive. You will have an early breakfast and take off for a morning game drive. You will be able to see the sun rise over the savanna and enjoy, giraffes, buffalos, birds the lions, antelopes, elephants and more along the way. We return for a break and lunch, you will enjoy a swim at Paraa Lodge. Late in the afternoon we go for a boat ride on the Nile and often the highlight of the trip to Murchison Falls National Park. Feel free to take pictures of crocodiles, birds, monkeys, elephants hippos, buffalos and of course the fabulous falls themselves. You will be driven early in the morning from Murchison Falls to Semilki Park. This is the only national park in Uganda where you can go for a night drive to view many cats, white tailed mongoose, slim mongoose and minuscule genet, after having dinner, you will go on a night drive. This game drive will yield the nightjars which are very uncommon to see during the day and much nocturnal wildlife. You will have a boat trip on Lake Albert with your packed lunch. You will observe the colonies of Long-tailed Hawk, Forest Francolin, Nkulengu Rail, Western Bronze-napped Pigeon, Black-collared Lovebird, Red-throated bee-eaters dart, Spot-breasted Ibis, Hartlaubs’s Duck, Chestnut-flanked Goshawk, Red-thighed Sparrowhawk and many others. 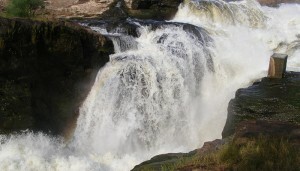 Then have lunch at the waterfalls which provide a great picnic spot. Have views of several fishing villages along the way, and a visit at the tribal community at the foothills of the Rwenzoris, where the locals look forward to welcoming and entertaining visitors. Return to the lodge for dinner and relaxation. After early breakfast, drive to Fort portal with lunch enroute. You will drive through traditional homesteads and farms and this will enable you enjoy the beautiful scenery across that part of the country. You will have a leisurely late afternoon hike around the town. With your packed lunch, find your way to the forest after being briefed by the experienced guide who is to lead you while tracking. In the park, you may have a view of all the primates like Blue, Black faced Red Colobus, Red Tailed Monkeys, Olive Baboons and an incredible array of bird life, including the Great Blue Turaco, Chimps, Black and White Colobus Monkeys,. In the afternoon, have a Bigodi Swamp walk in bid to view the birds and monkeys that live in the swamp. After breakfast, enroute to Queen Elizabeth National Park which is situated at the foot of the Rwenzoris Mountains, protecting over 200 sq km of Rift Valley Savanna, interspersed with patches of forest and crater lakes thus a thought for a safari. At your arrival, carry out a launch trip along the Kazinga Channel. You will scrutinize the concentration of water birds, hippos and crocodiles which is amazing. The bird species includes the black bee- eater, 11 types of king fisher, and several species of falcons, eagles and the raptors and many more. Have an early morning game drive in the Park, to see wildlife like elephants, lions, Uganda Kobs, spotted hyenas and the leopard plus many others. 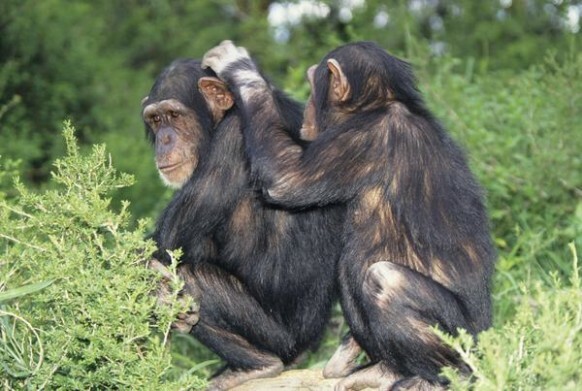 In the afternoon, you will proceed you head to Kyambura gorge for the chimpanzee trekking. The walk takes 3 – 4 hours depending on the weather and is also a great opportunity to spot black-and-white colobus monkeys and a few more of those 600 bird species that have been registered in the park. In the morning you will be transferred to Bwindi Impenetrable Forest via Queen Elizabeth’s southern Ishasha sector. Have hope of watching the tree climbing lions and the elusive leopards. This is a dry and wild savannah region, much less developed than the Mweya peninsula. The game viewing is very good due to the fact that the region is well known for the tree climbing lions. We shall enter the sanctuary at dawn and enjoy the beauty and freshness of the forest, home of the mountain gorillas. After a crumb briefing by the experienced guides, we shall then proceed through dense bush to trek for these endangered animals called the great Apes (Gorillas). Other primates also inhabit in the forest including the red tail monkey, chimpanzee and black-and-white colobus monkey. This can be very tiring because the ground is steep and densely forested but it really is worth it. Depart to the accommodation for relaxation or have an optional community walk. Have yet another full day of gorilla trekking. You will trek several gorilla types. 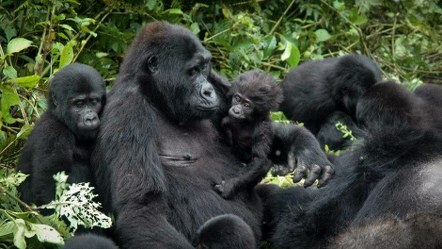 Treks cover either an hour or four hours– it all depends on where the gorillas are. And so the time remaining after visiting the gorillas can either be spent hiking in the foothills, relaxing and remembering the trek or and visiting local communities as you decide. 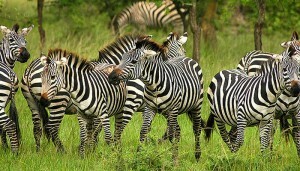 You will have an early breakfast with your packed lunch and drive to Lake Mburo National Park. This beautiful drive covers approximately 5 hours and allows time for an afternoon game drive in the splendour of Lake Mburo. You will reach in time for a boat ride on Lake Mburo. The wetlands and acacia forests and are home to an impressive variety of antelope including the giant eland and impala. The lake is rich with a diversity of animal and plant species which will be viewed clearly as you are on the boat trip. Expect to watch hippopotami and birds like Heron, cormorant, fish eagle, African Fin foot, Pelicans, Black crake, you may also see the rare Shoebill Stork and all these will bring pride to your visit. We shall head for our morning game drive through the humid and haunting acacia forests gives yet another aspect to Uganda’s beauty and will hopefully provide us with leopard, bushbuck, zebra, hippo, and oribi. 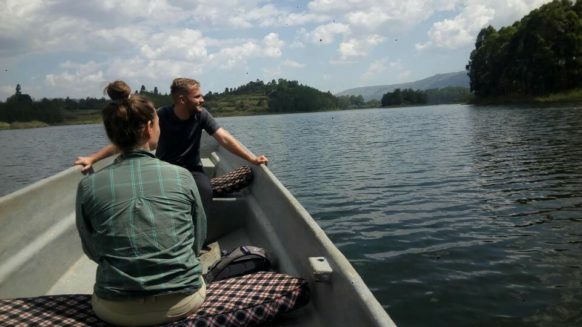 We shall take a splendid boat trip across Lake Mburo in the afternoon and you will enjoy some excellent bird watching. There are also opportunities of seeing waterbuck, crocodiles, and the rare sitatunga before we make the two hour trip back to Kampala. You will start off with the city tour after breakfast, by walking through the city centre, the Uganda Parliament, the National Theatre, Namirembe Cathedral, visit the Kasubi Tombs: which represent the Ganda Culture, and Bahai Temple. We shall finish the tour with a look at the culture and history that make up this fascinating country. From Kampala, you will head to Entebbe for wildlife viewing at Uganda Wildlife Education Center like vervet monkeys, hundreds of beautiful coloured butterflies, indigenous plant species, antelope, beautiful debrazza monkeys and a visit to the botanical gardens to appreciate different plant species. You will be transfered to the Entebbe International Airport for departure.